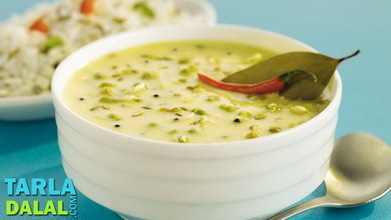 Kadhi is inseparable from Gujarati cuisine. 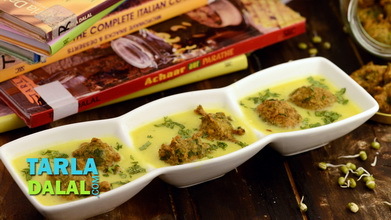 It is basically a wonderful sweet and spicy curd mixture thickened with gram flour, which can be enhanced in many ways using other ingredients like pakoras and koftas. This simple dish requires tact and perfection, which comes from practice. 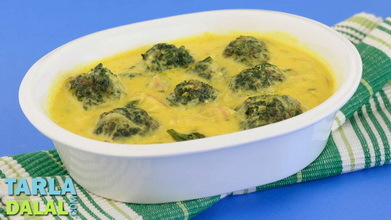 Remember never to boil the kadhi on a high flame as it tends to curdle. 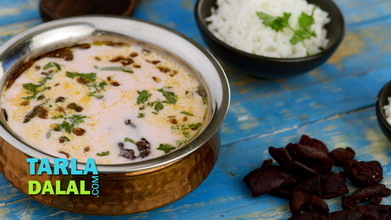 To make kadhi, combine the curds and besan in a deep bowl and whisk well till no lumps remain. Add 3 cups of water and mix well and keep aside. 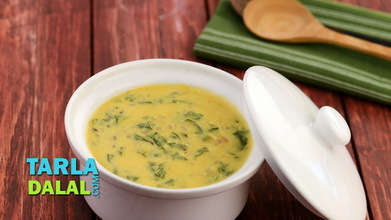 Heat the ghee in a kadhai and add the cumin seeds and mustard seeds. When the seeds crackle, add the asafoetida and curry leaves and sauté for a few seconds. 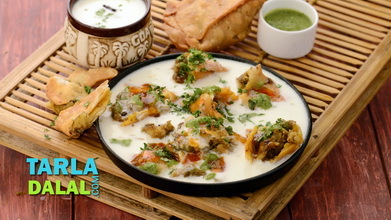 Add the prepared curds-besan-water mixture, salt, ginger-green chilli paste and sugar, mix well and bring to a boil for 2 minutes, while stirring continuously. 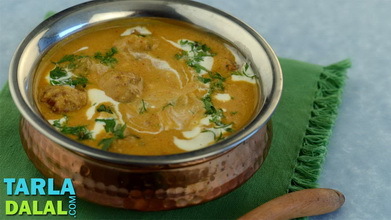 Reduce the flame and simmer for 8 to 10 minutes, while stirring occasionally. 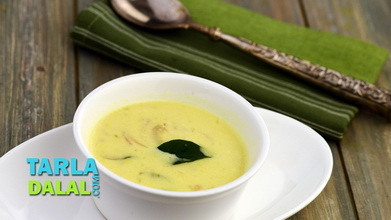 Garnish the kadhi with coriander and serve hot with rotli, puran poli and khichdi.